Michelle Teague was settled into a nice career in film living in NYC when she took a job on There Will Be Blood in Marfa, Texas. It was an area of the country that her and her husband, John were drawn to and after John was asked to help out at the fabulous El Cosmico (I have to go there someday), well...one thing led to another and they moved there permanently in 2008. 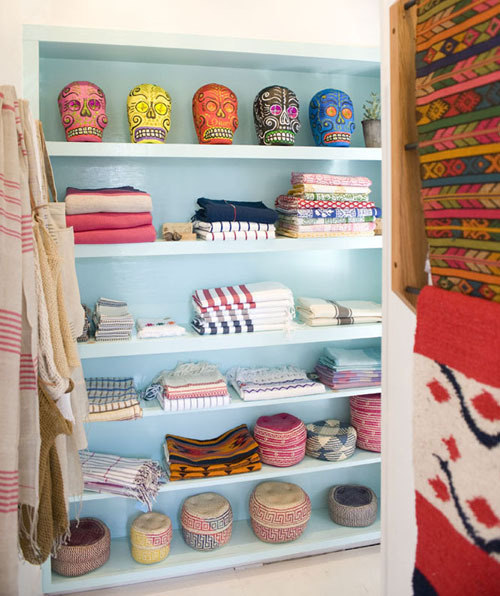 Much of what you find in Michelle's shop is found during her travels in Mexico. 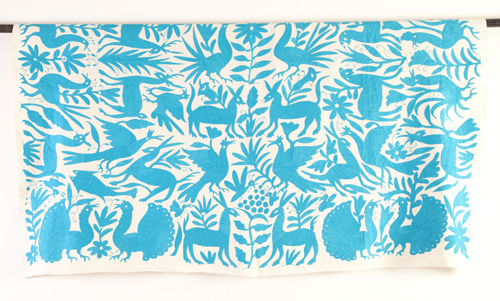 I'm in love with this coverlet made by the Otomi in the Eastern Sierra Madre in Hidalgo. 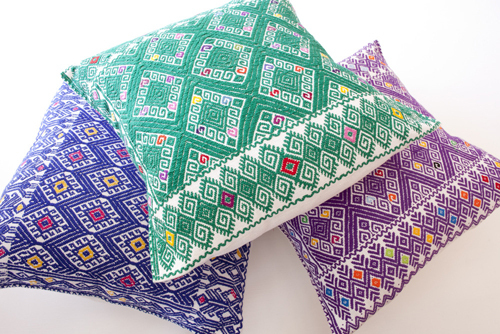 Michelle, "The animal and floral motifs are inspired by cave depictions and their intricate embroidery and vibrant dyes are an ancient Mexican traditional work of art."